Many of our administrators are facing a deleted file on a server especially when its on the file server. 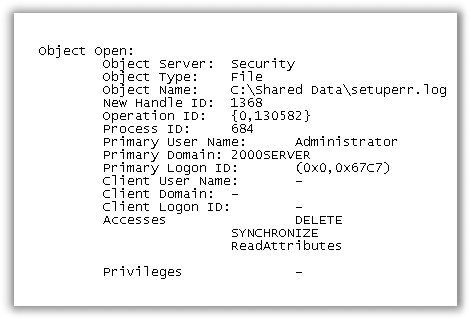 In this article we try to teach you how to trace a deleted file on a server by the user. This can be accomplished through auditing. 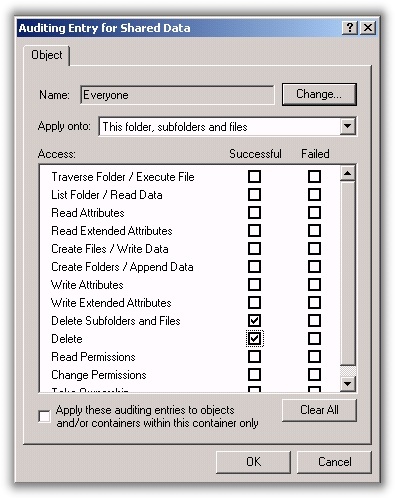 Lets start out by identifying what folder we want to watch – and be careful where you turn on auditing…turn it on too many folders with too many options and you can have huge performance issues. A user dialog will come up. I chose to put the “Everyone” group here. This allows me to audit for any possible user account that may be deleting files. If you think you know who it might be…you could put those users here instead. The smaller window of users being audited means better performance. Click OK through all of the windows you have open. 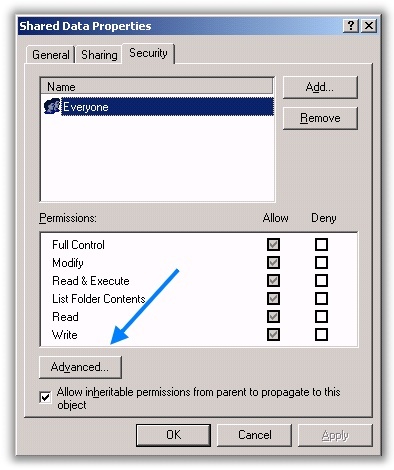 If a user deletes a file or folder Windows will write an event to the security log. Now when someone deletes a file, you will have no problem determining who did it.